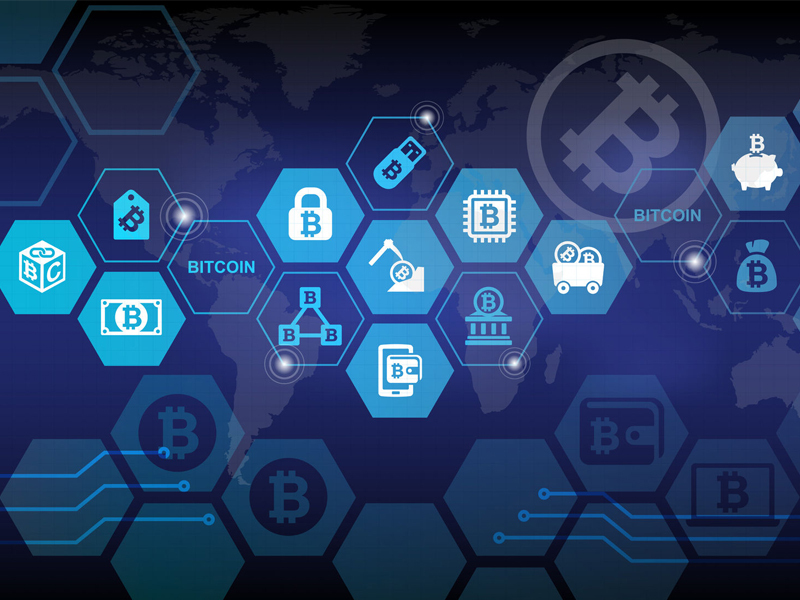 Blockchain technology has the potential to disrupt many sectors and business models beyond cryptocurrencies such as bitcoin. Here’s what it is and how it works. Next year will mark the 10th anniversary of bitcoin, a global electronic currency invented by a mysterious anonymous figure called Satoshi Nakamoto. The same individual also invented blockchain technology, which has become as ubiquitous a term as bitcoin. But what exactly is blockchain? How does it relate to bitcoin? And why is blockchain so important? Although bitcoin is built on blockchain, they’re not the same thing. “A cryptocurrency is simply an implementation of blockchain [technology],” says Douglas Heintzman, practice leader for blockchain technology at the Burnie Group Inc., a Toronto-based strategic consulting firm that advises companies on how blockchain — a.k.a. distributed ledger technology — can transform their businesses. So, if blockchain isn’t bitcoin, then, what is it? Blockchain is a record-keeping system that enables multiple people to agree on transactions without any central arbiter. Blockchains are like roads; many different things can travel along them. Bitcoin is just one example. A blockchain’s value lies in its ability to remove a central middleman and enable everyone to deal directly with each other, while keeping everyone honest. For example, when Bob wants to send money to Alice electronically, they need a way for each person to verify and keep a record of that transaction. That may seem simple at first, but what happens if Bob cannot trust Alice? If she receives the money and claims that she didn’t, then Bob is out of pocket. That’s where traditional banks come in. They maintain a central record of all transactions that’s final. However, by controlling a central ledger, the bank — or any party governing a transaction — becomes a single point of failure. If the bank operates too slowly, charges too much to process transactions, decides to put its own interests above those of its customers or experiences a computer outage, then this creates problems. Specifically, the bank either introduces too much friction for customers or puts the transaction at risk. In contrast, blockchain eliminates the central controller and handles the transaction directly between Bob and Alice by using a shared ledger. Instead of keeping a single ledger in one place, or allowing everyone to maintain their own record of the transactions, everyone participating in a blockchain network gets a copy of the same ledger. Unlike multiple separate ledgers, no one can alter a blockchain-based distributed ledger without other people knowing about it. Everyone’s copy of the ledger is updated regularly with the latest transactions. These transactions are then “sealed” into the ledger using cryptography so that no one can alter them after the fact. This ensures everyone sees the same transactions and stops anyone from tampering with a blockchain. Blockchain technology is what keeps everyone in the bitcoin network honest, but it can just as easily be uncoupled from bitcoin and used for other purposes. That’s exactly what’s happening around the world in sectors ranging from finance to the supply chain. Theoretically, blockchain technology can disrupt any business model that relies on a middleman. As different sectors explore blockchain’s potential, they’re inventing new implementations of blockchain technology with different features and functions. For example, Ethereum is another computing platform that evolved the blockchain concept. Beyond simply recording transactions of value, Ethereum allows participants to develop and run entire computer programs on blockchain technology. All participants can run programs and validate their results independently. “This combination of trusted data and trusted code will improve the efficiency of business networks dramatically by removing trust and identity-related friction, to say nothing of reducing regulatory burden and auditing requirements,” says Heintzman. One possible application? Imagine a complex legal agreement in which a company’s founders are reimbursed in private equity based on that company’s financial performance. A smart contract could monitor the company’s financial results and adjust equity payouts automatically. Blockchain technology may have started with bitcoin, but it promises to go far beyond that digital currency. Its journey has only just begun. This is the first article in a three-part series on blockchain. Up next: How blockchain is impacting the financial services sector.